For those of you who’d like to know the gory financial truth behind a cross-country trailer trip like this (even without the car repairs), here’s my ~6-week trip by the numbers. It’s been a while since my last post. I’m back to reality, work, and it’s a little painful to look back on the “breakdown” portion(s) of the trip. I didn’t keep track of meal expenses, but when we had the trailer, they were very reasonable (as you may remember, thanks to my ailing Saab, I abandoned the trailer at my parents in Washington halfway through the trip). As you can see, swapping the trailer for motels tripled the nightly cost. And I stayed at the cheapest motels I could find. The wild-card in this trip was the breakdown expenses. 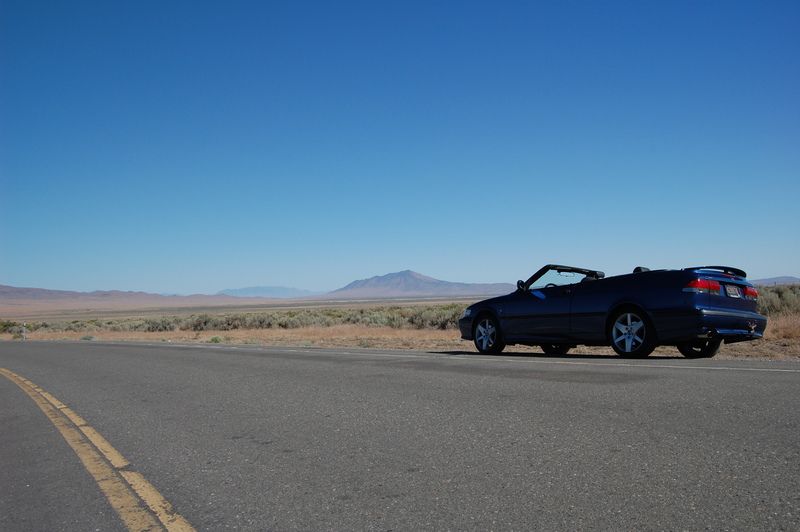 I’d had my Saab 9-3 convertible for five years with no breakdowns. I’d towed 10,000 miles, and had no reason to assume I’d need anything more than an oil change and check-up… I even had the car checked out mid-trip when it just “felt” wrong. No error codes were found, and the 20-year Saab master mechanic thought it drove normally (it broke down 3 days later…). $1,497.03: 8/12/11 (Salt Lake City, UT): new throttle body, direct ignition, fuel filter, spark plugs. Each of the three Saab shops came highly recommended and had a Saab senior technician with 20+ years of experience working on the car. I belive the parts they replaced really were broken, but even after the 3rd shop, I felt the same problem I brought to the attention of the first mechanic. At no point in any breakdown did I get any dash-light warnings or error codes. No smoke. No lost fluids. Just expensive, expensive parts that on a 119,000-mile car will only get worse. A few days after I returned home, I traded in the car on a better and newer tow vehicle (blog post soon). I have AAA RV Plus RV, which includes four 100-mile tows. In order to find suitable Saab knowledgeable repair shops, each of my three (!) tows were more than 100 miles. Had I not had all the Saab woes, this would have been a fairly reasonable trip, considering it was six weeks long and 8,000 miles. I would have paid a bit more for gas (I had budgeted $2k), but less for lodging and food. Consider F150 or some sort of smaller SUV? I have been towing my T@B with our V F150 for allot of miles and never have had any issues. Drives like a big sled that just keeps on going. Sounds like you’re now where I was. Now you have a much bigger tow vehicle; why not step up and get a bigger trailer? One with a kitchen and potty, maybe. We bought a T@DA because my research indicated that our 6-cyl van would tow it. When we learned otherwise (and traded the van in on a Jeep Grand Cherokee), I said that if I knew we’d have a Jeep, I’d have bought somebody’s bigger used trailer. We recently sold the T@DA and bought a beautiful used19′ trailer with 2 ea. propane tanks and house batteries, shower, tub and oven(!). Cute only goes so far. Functional is much better when you’re trying to actually camp.